There are many thoughts and opinions out there on the best way to prevent bed bugs from entering your Seattle home. 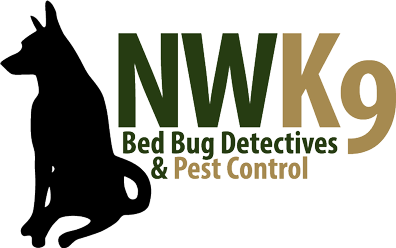 Northwest K9 Bed Bug Detectives has been around for many decades, so we know of a few tips and tricks that seem to help. After scouring the internet, one can find a variety of habit changes or chemicals to use, but you don’t need to look any longer! We have narrowed our preference to just one product for preventing bed bugs, Cimi-Shield. That’s right, your local bed bug exterminator in Seattle recommends just this one product for you to protect your home and family from these pests. The science behind Cimi-Shield is purely innovative. It is based with polypeptide protein molecules that react with the esters that form the waxy outer layer of a bed bug’s exoskeleton (and other insects of the same nature). It is lethal for the bed bug when the esters and the protein molecules interact. Humans and other mammals are not affected by these powerful protein molecules because we lack the waxy exoskeleton; therefore we remain unaffected by Cimi-Shield. The reason we picked Cimi-Shield above other pesticide products is because of the porous carrier design. Have you ever taken a pill that is encapsulated for time-release? Yes? Then you have experienced a porous carrier. Similarly, Cimi-Shield uses a porous carrier to harbor the polypeptide protein molecules everywhere in your home. The liquid inside is spilled only when the bed bug or other waxy insect comes into contact with the carrier. Traditional pesticides only kill bed bugs that are alive at the moment of application, not the nearly 50% that are still lying away as eggs. Since Cimi-Shield uses a delayed capsule that only opens upon contact, it kills all bed bugs. To offer users appropriate quality while remaining within its rate of deterioration, Cimi-Shield is only active for 12 months. Due to the 12-month span of efficiency, Cimi-Shield is a product that requires annual application, so schedule your appointment with a bed bug exterminator to get your home protected today! It is of the utmost importance to note that Cimi-Shield is non-toxic to humans and all mammals. There is no odor or staining. It is a great preventive product and can be used in conjunction with other bed bug pesticides in order to provide the most thorough extermination possible.